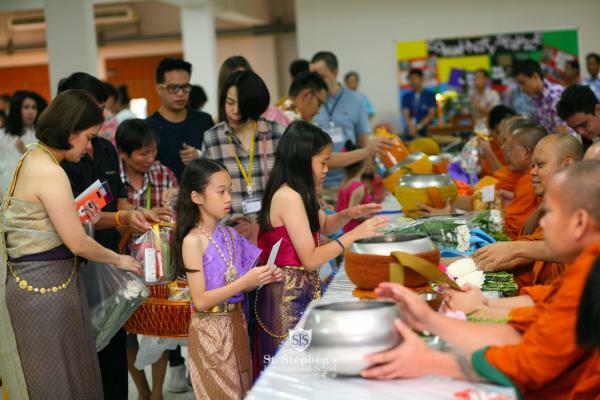 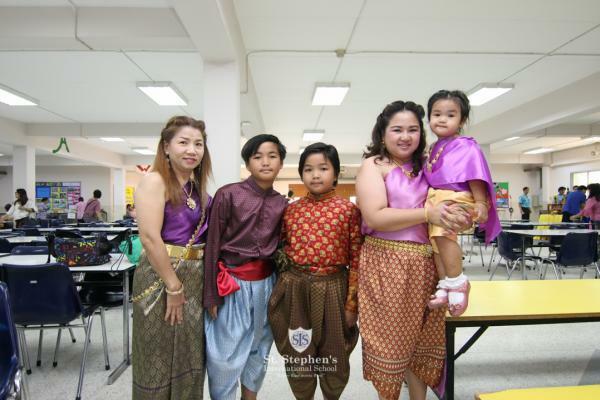 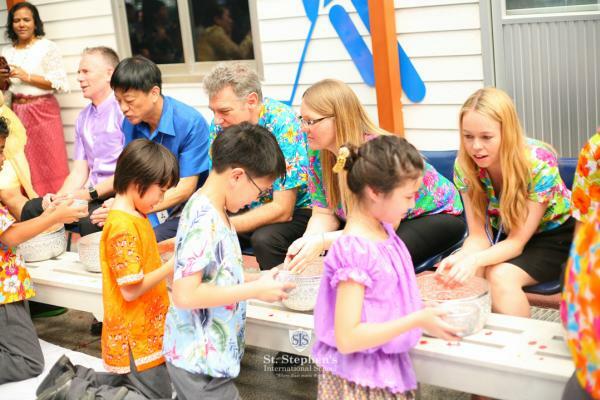 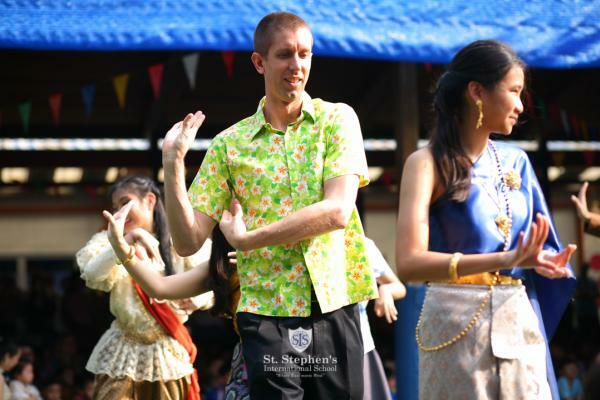 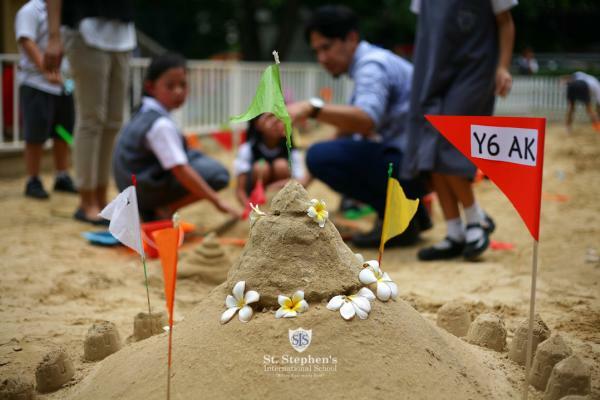 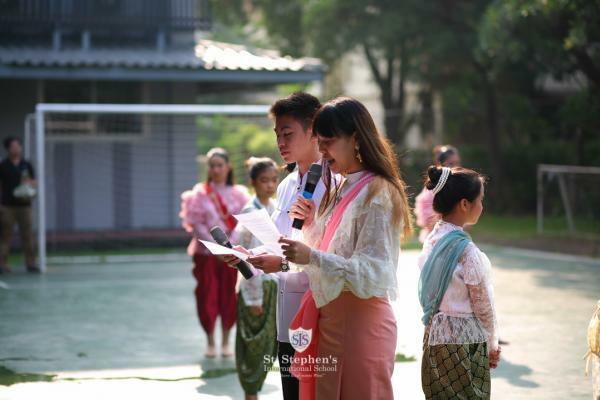 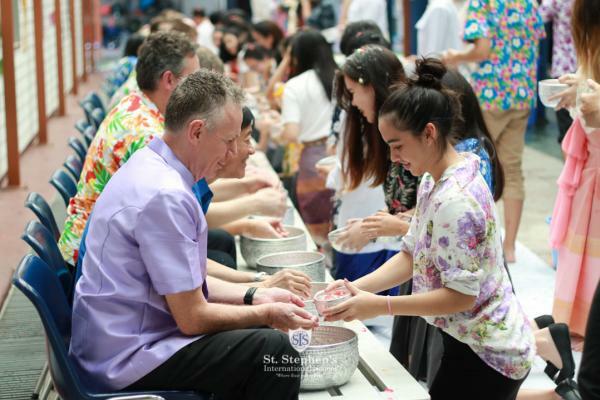 Songkran Celebrations at St. Stephen's Bangkok started on Friday 6 April, which marked the last day of the term. 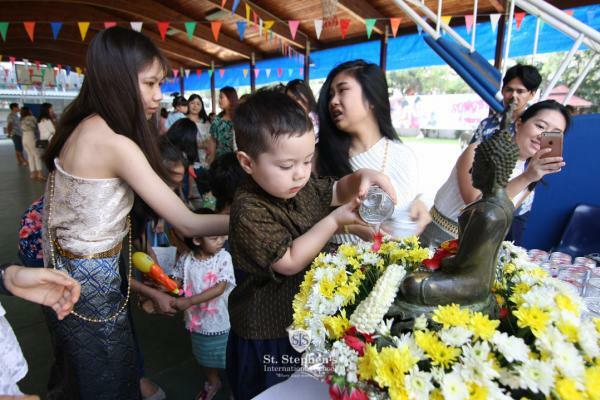 The ceremony began with the Monks Ceremony early in the morning. 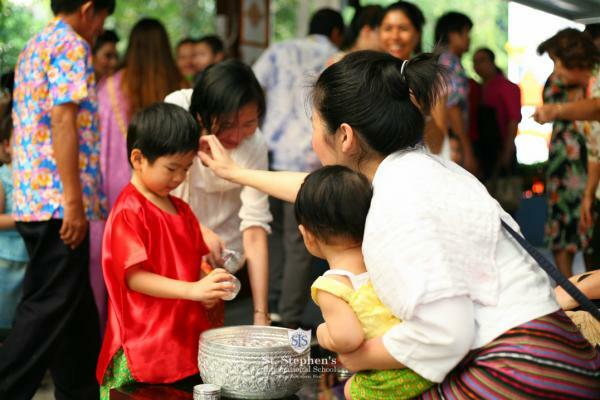 This year there were many parents and children involved offering canned food to the monks. 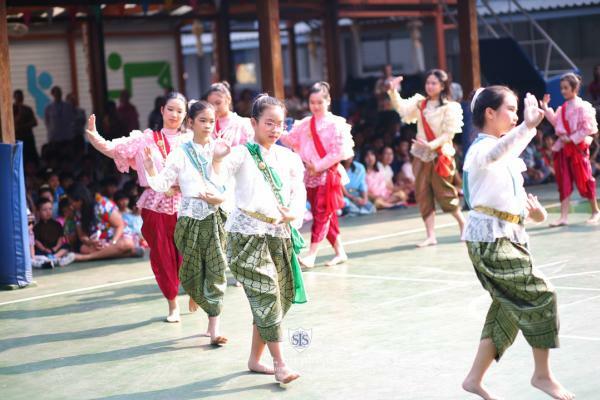 The highlight of Songkran celebration started with Rum Wong Classical Dance by KS2 and Secondary students from Thai Dance Club. 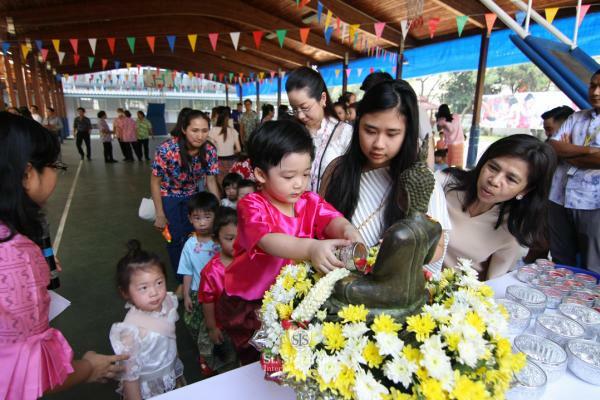 Children of each key stages then attended the water ceremony for The Buddha image and for the teachers. 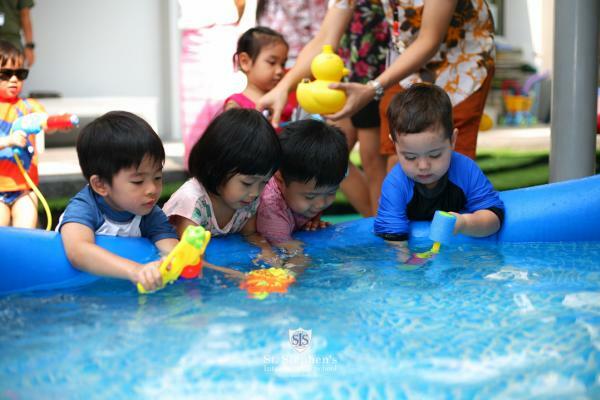 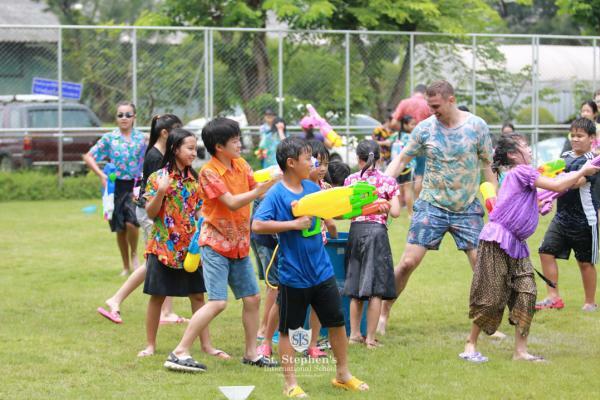 Following the Songkran Celebration continued with the water play activities at different times during the rest of the day in Key Stage groups. 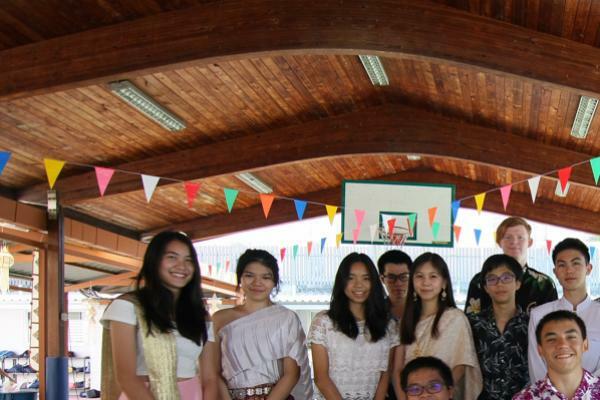 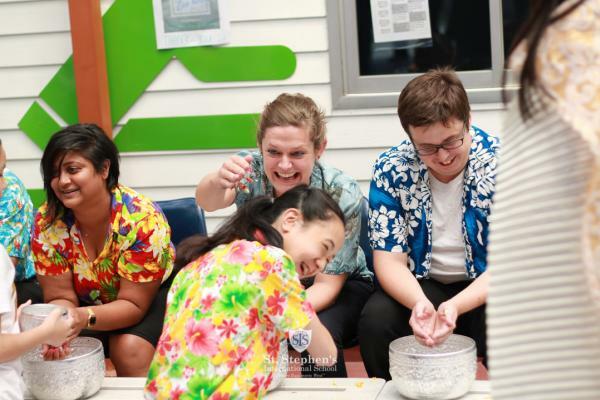 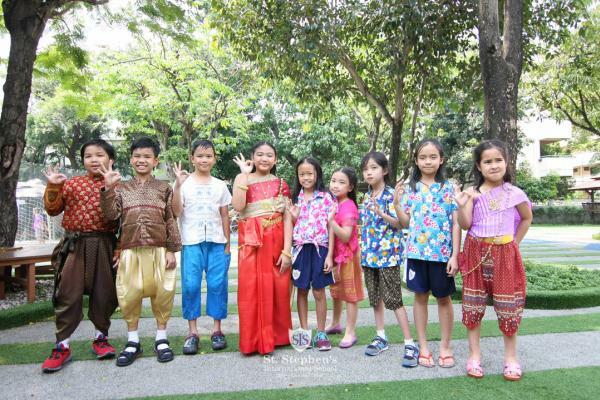 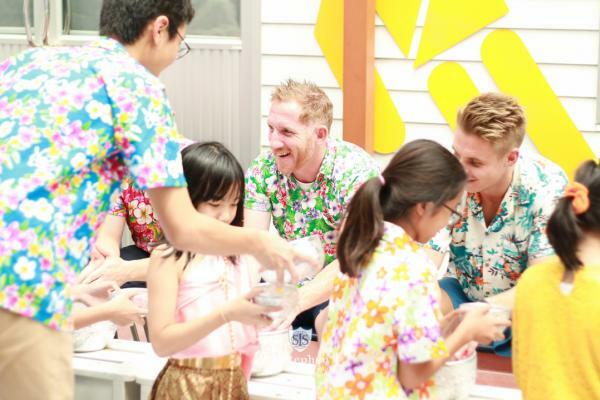 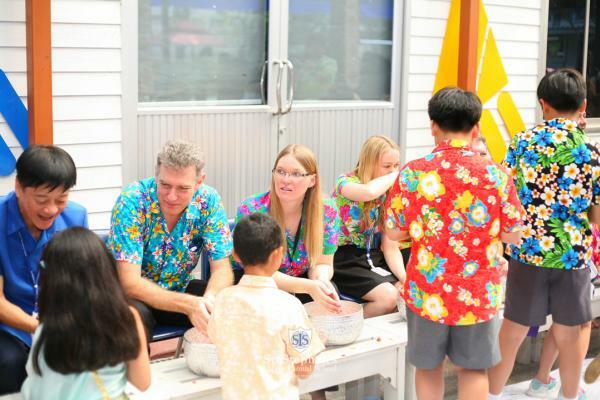 All students had a great time participating in Songkran activities and they all dressed up in Thai National Costume or Thai Songkran shirt to suit the occasion.